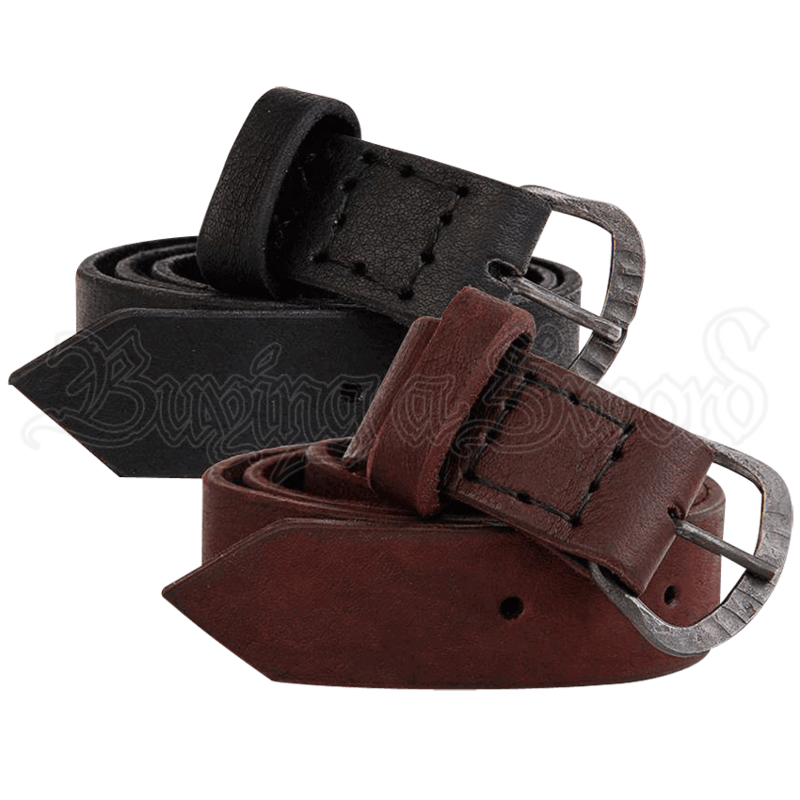 Hand sewn and made of quality leather, the Louis Belt is an excellent addition to any historical reenactment look. The buckle is made of wrought iron, and the visible hammer strokes, sanded smooth, give the belt an authentic look. Belts like the Louis Belt are incredibly useful additions to reenactment looks, as they can easily be equipped with belt bags, frogs, and more. 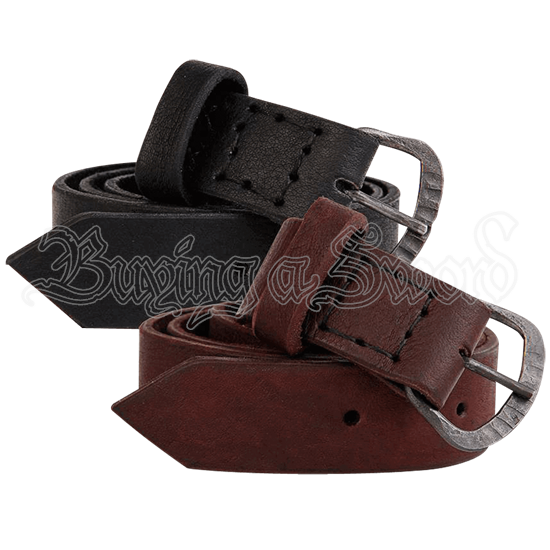 Available in various colors, this historic belt is sure to match a variety of medieval and LARP looks, lending them fine visual interest with its carefully handmade details.